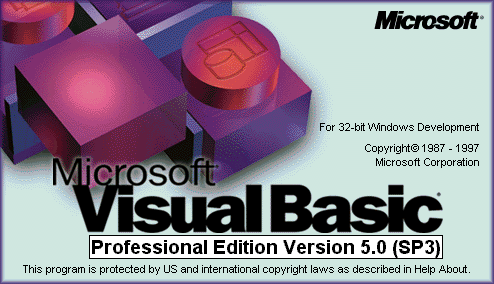 Truth of the matter: the first Visual Basic I tried was not a version I bought, though I can't for the life of me remember if I had a demo version on one of the disks I did buy (such as office 97), or I downloaded a free version from the web, or I downloaded an illegal version. Come to think of it, I think it came on one of the disks, and I think it was before web times, and I'm pretty sure I did not try it on my computer, but rather on my girlfriend's computer. Sometime in 1993, or 1994. I tried to create a simple adventure game. Something that would display some text and a picture, and then move you to some other 'place' also with a text and a picture, depending on what you clicked. I was so impressed with VB back then! I could do all of these things, and let's face it, the interface was amazing! today, there is nothing that can match the simplicity and the elegance it had back then, including, sadly, the newer versions of VB.